Panda turned 10 in October, 2015. 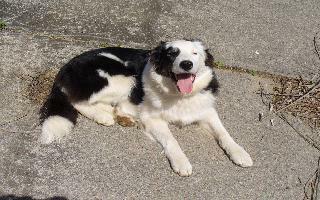 He is a registered Border Collie that came to us with the rest of his litter just before Christmas of 2005. Unfortunately the breeder took very ill and could not look after the 5 puppies so they came to live with us. in AAC, PDSC and CPE trials. 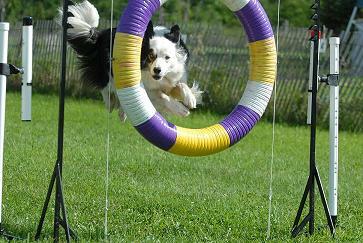 Panda is also listed on the AAC Top Dogs list for 2011! Panda earned enough Qualifying score in 2008 to earn a spot on the AAC Top Dogs List with 26 Q's, with 12 Q's being Master Gamblers!